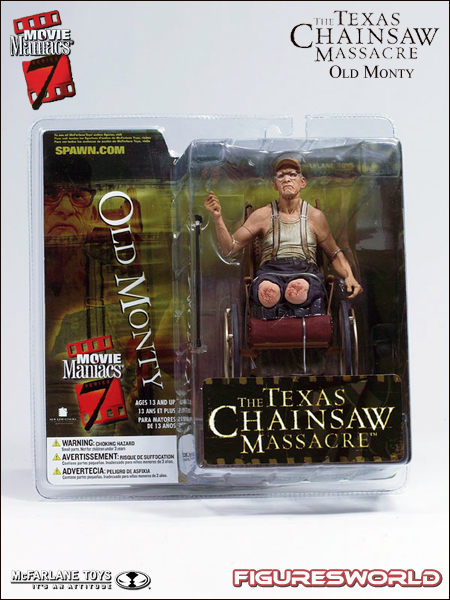 Height: Fully assembled, Monty is 6 inches tall seated in wheelchair. 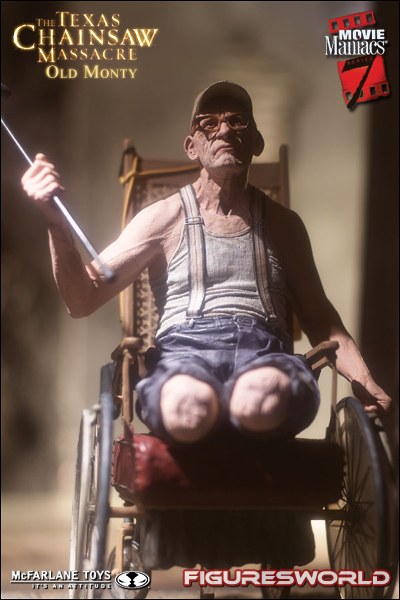 Articulation: Neck and both upper arms. 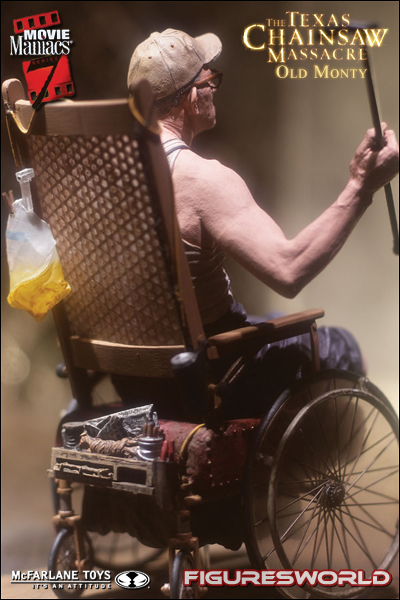 Wheelchair has rolling wheels and Monty has removable glasses. 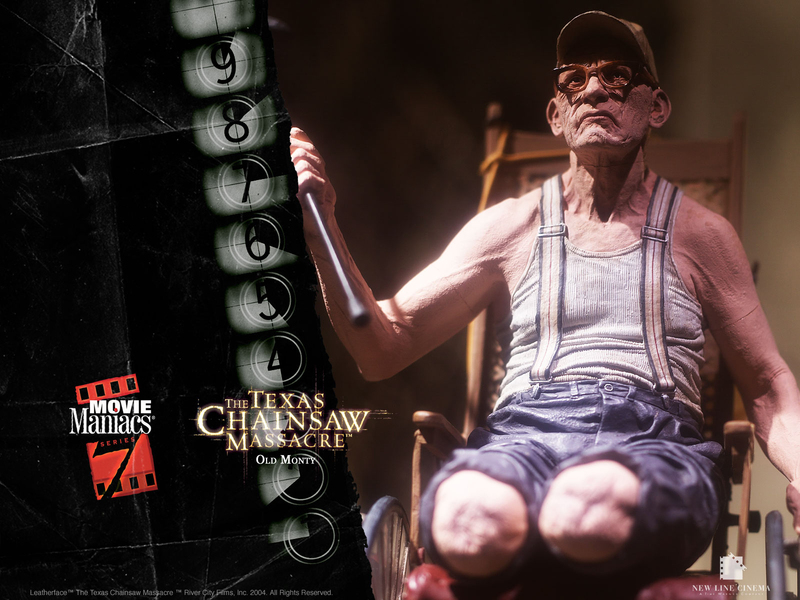 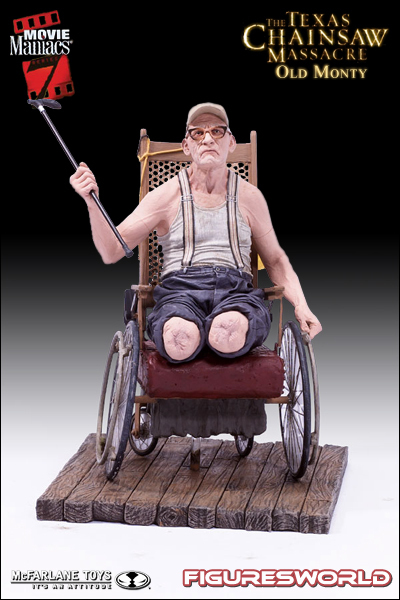 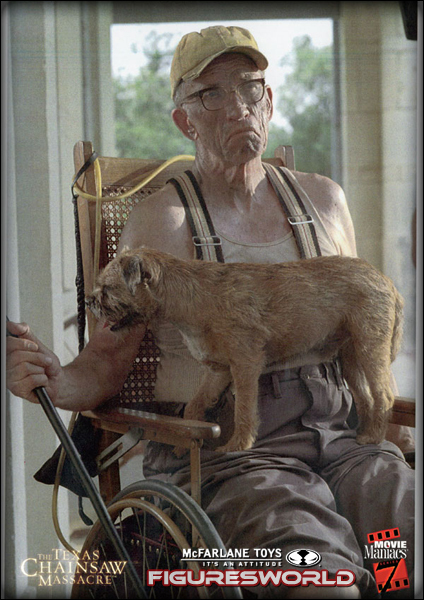 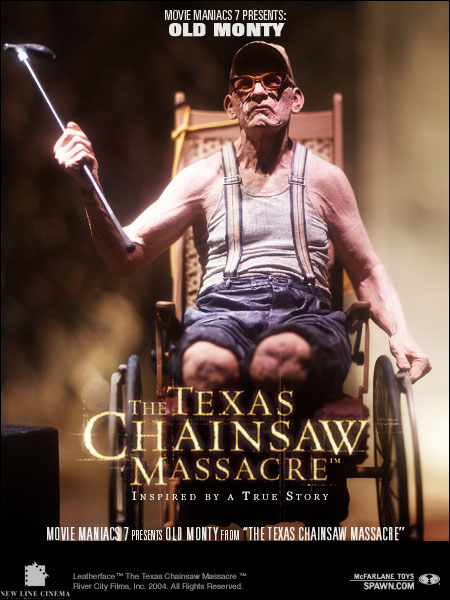 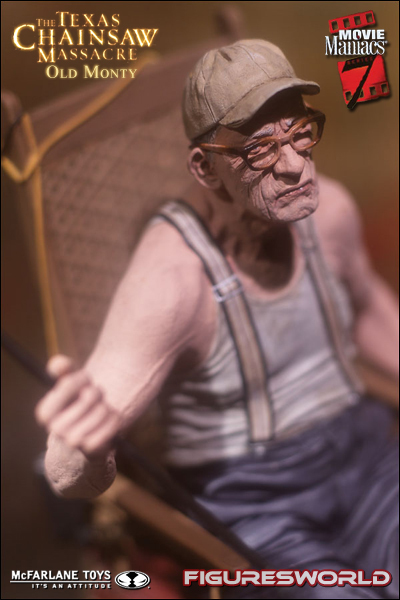 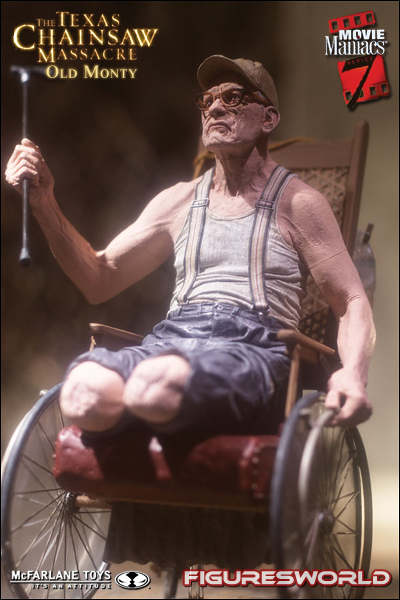 Accessories: Package includes stunningly detailed Old Monty figure based on his appearance in the remake of The Texas Chainsaw Massacre, fully operational wheelchair (complete with colostomy bag), base, removable cane and support peg.